Meet ID’d, a new digital wallet app for iOS that lets you store your licenses and memberships all in one place, and also get reminders before they expire. The app stores an image of your membership card or license in a secure wallet and prompts you to enter the expiry date. You can then set how far in advance you’d like to receive your reminder to renew. 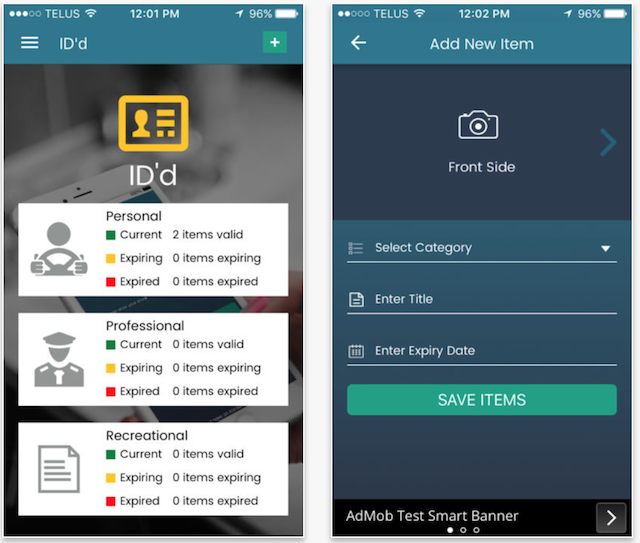 ID’d helps you keep track of your driver’s license, passport, insurance, CPR certification, union membership, hunting and fishing licenses, fitness membership and more. The app is free to download in the App Store, with optional upgrades to accommodate more licenses. A simple navigational menu organizes your licenses, tickets and memberships into three categories: personal, professional and recreational. Check out the following idea for a better idea about how ID’d works.